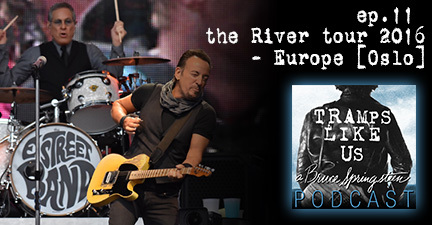 I am joined by singer-songwriter Terje Espenes for this latest episode discussing the Europe River tour 2016. Terje is a big Springsteen fan who recently saw the show in Oslo, Norway. We’ll discuss the show, his fandom of the Boss, our Steve Earle copperhead connection and the music he makes with his band Jack Stillwater. Find out more about Terje, his band and his music at www.jackstillwater.com .